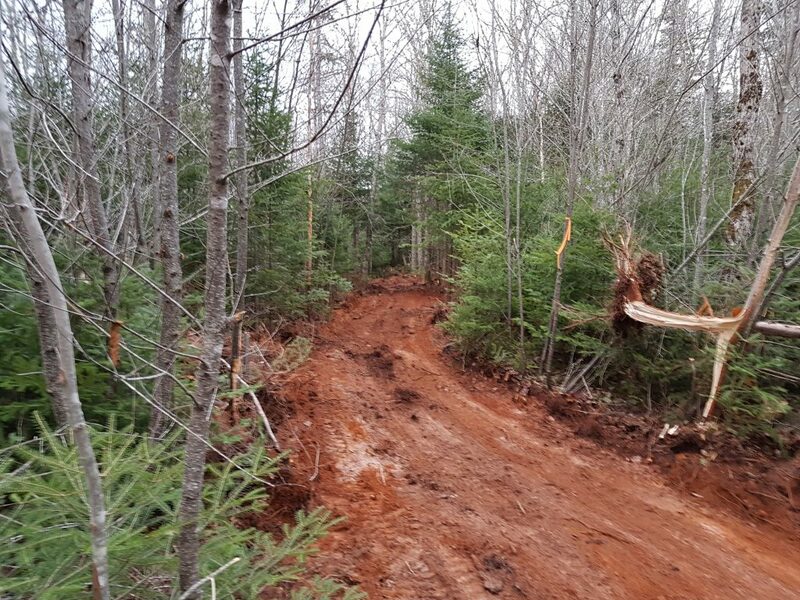 Please use caution on the new route 504 as it is only approx. 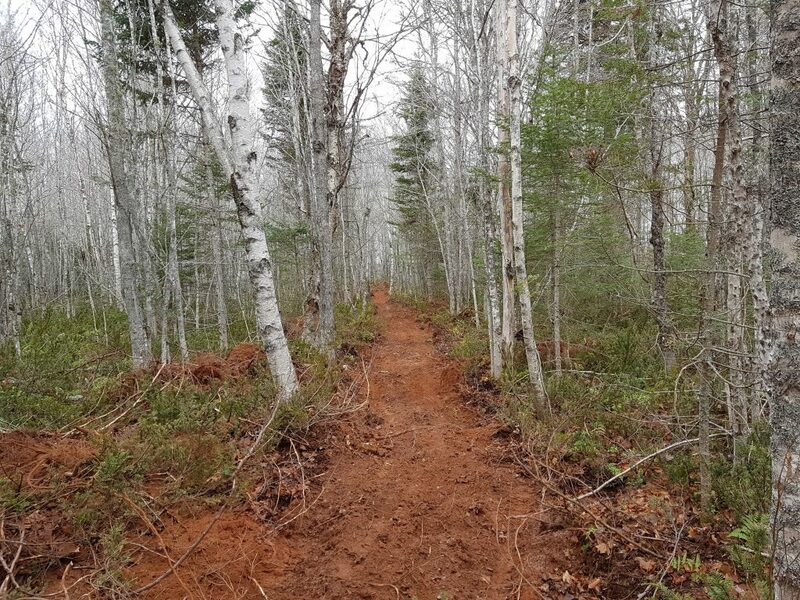 5ft wide in a few areas. We will come back in the spring and widen it back. 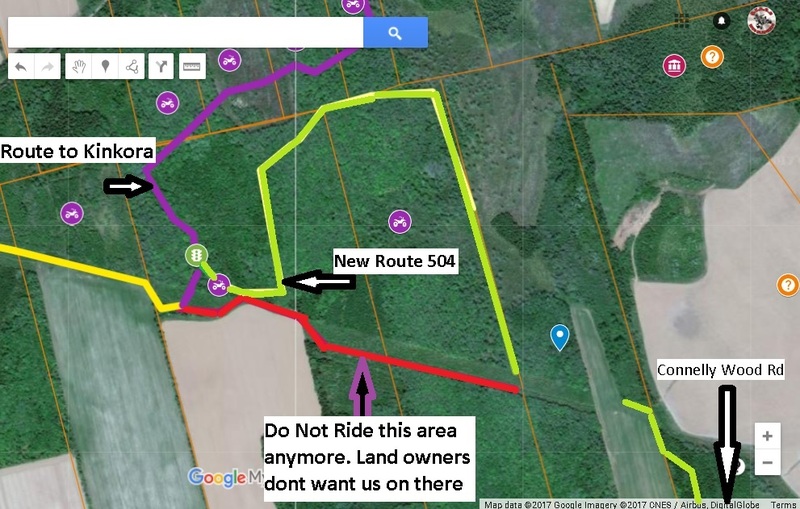 Take note of that the land owners do not want us riding in area marked in red on the map below. 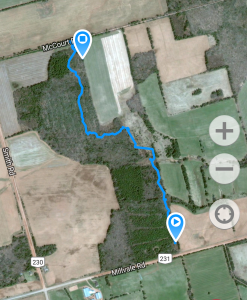 Please only use the area marked as Route 504 when heading from or to the Connelly Wood road. 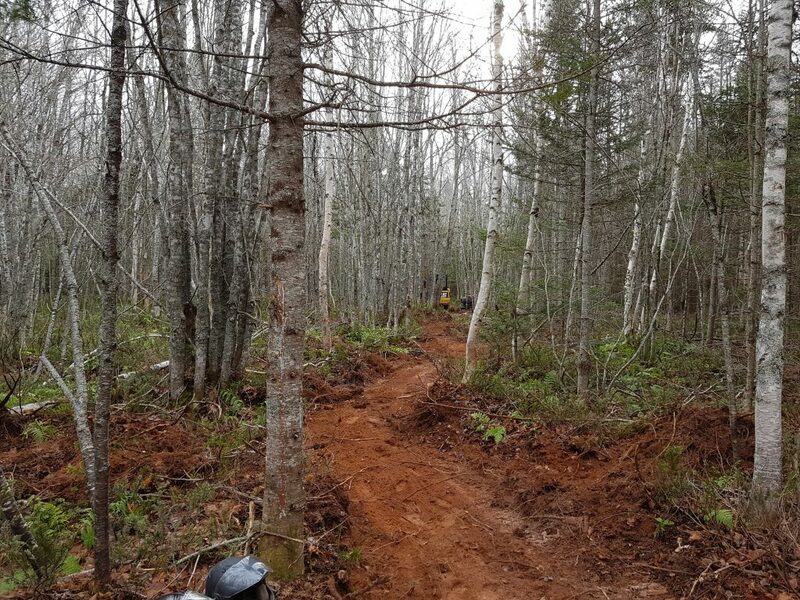 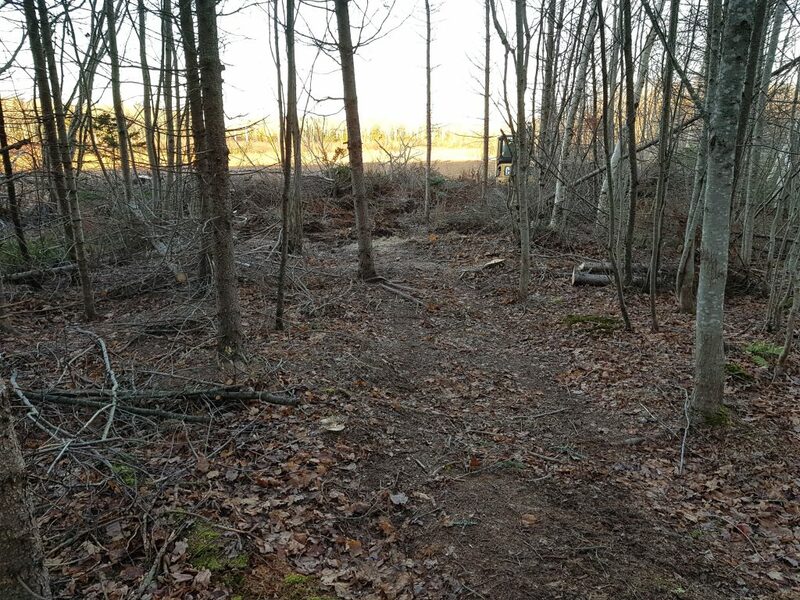 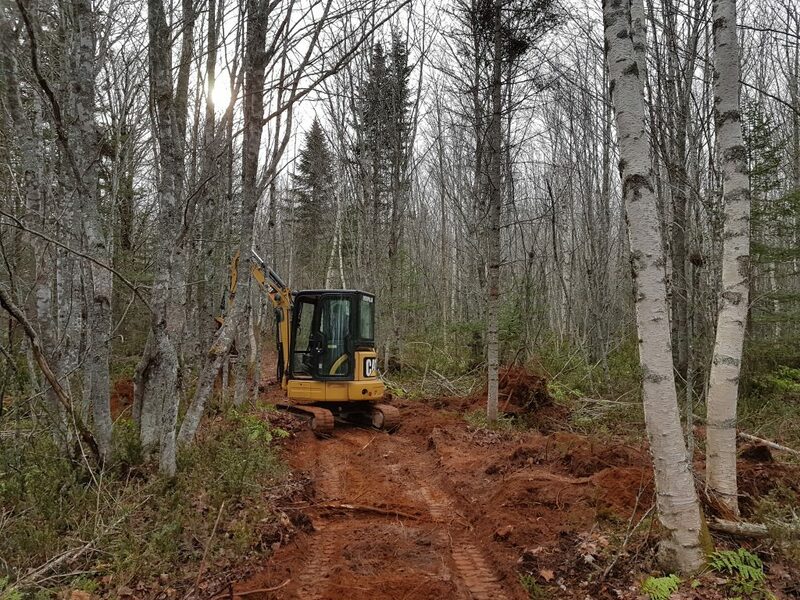 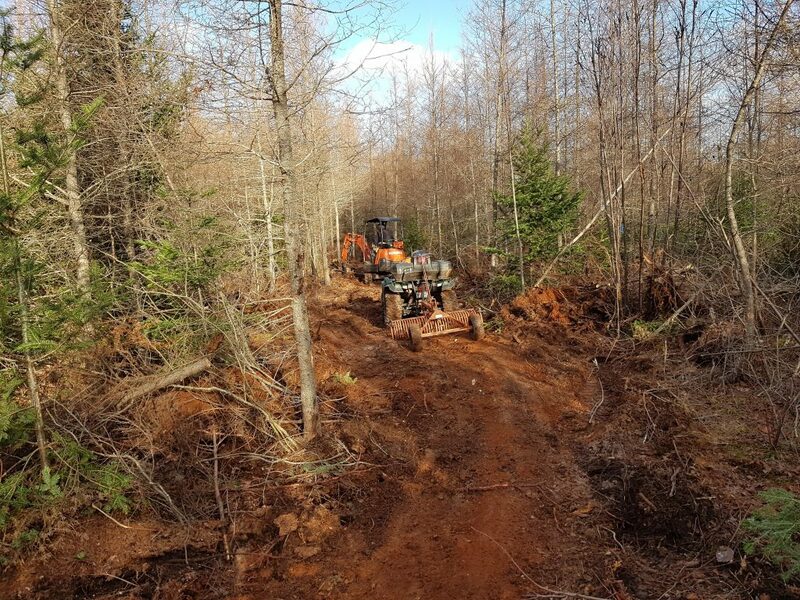 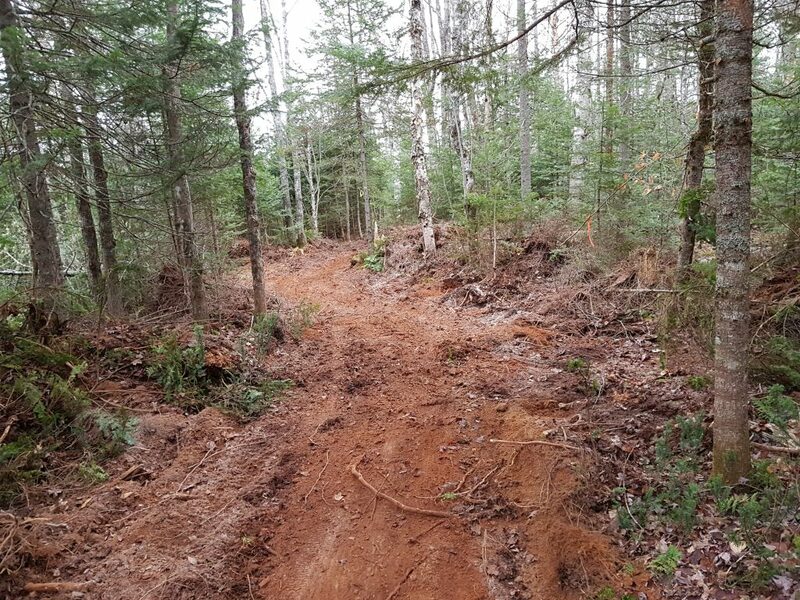 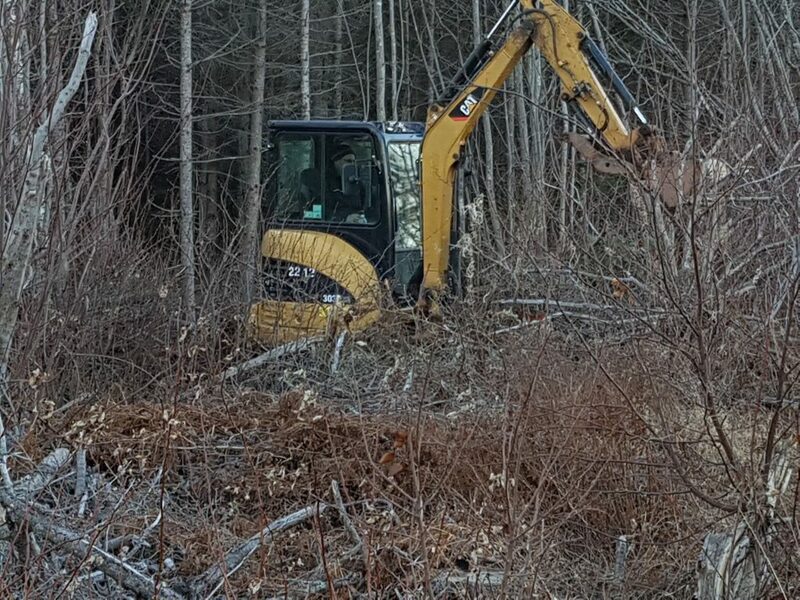 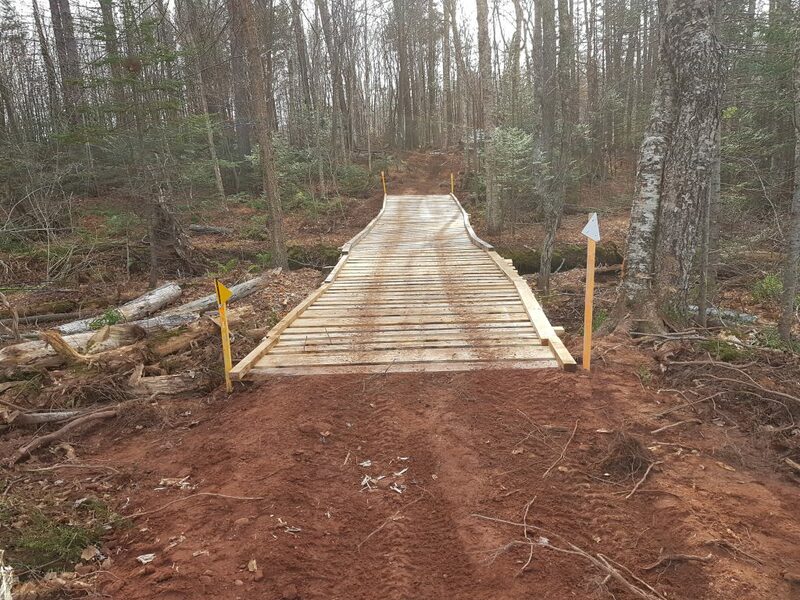 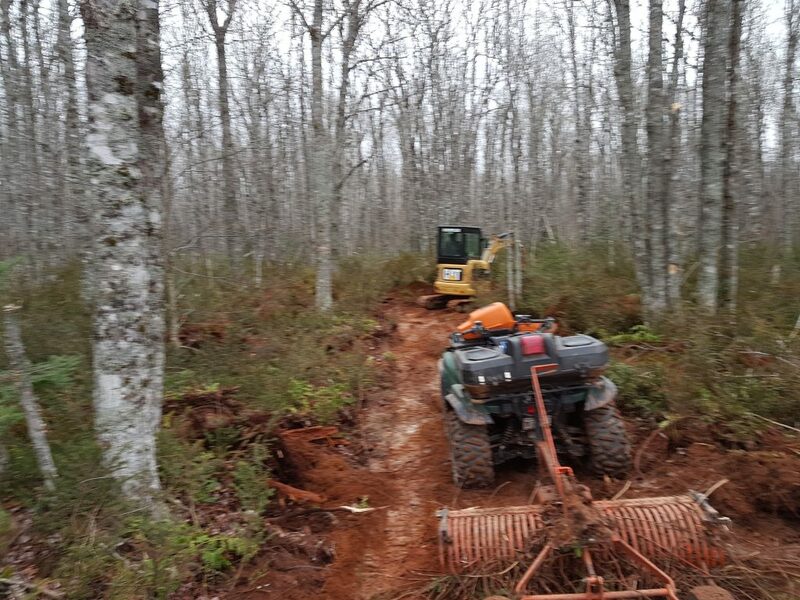 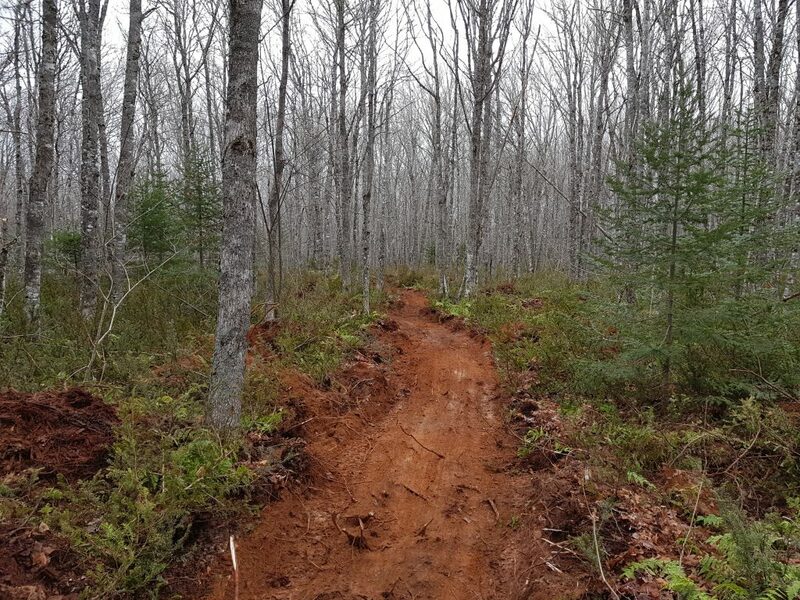 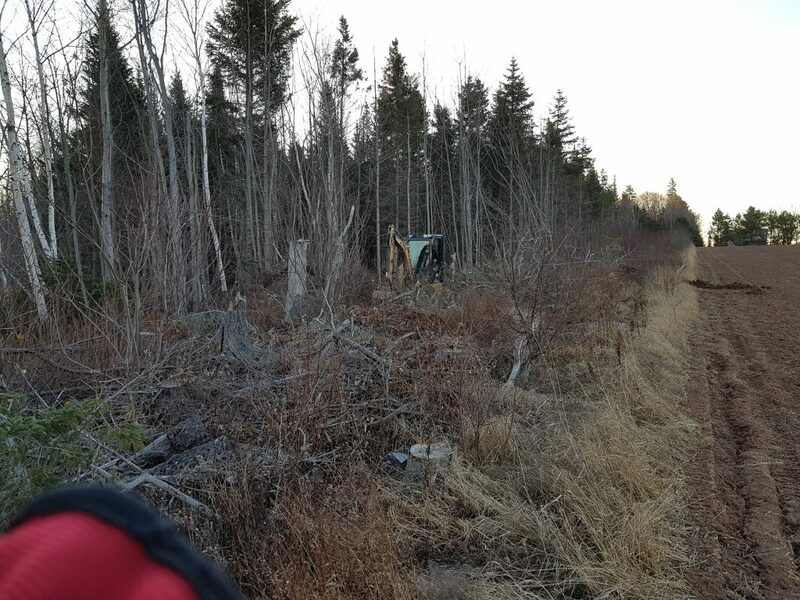 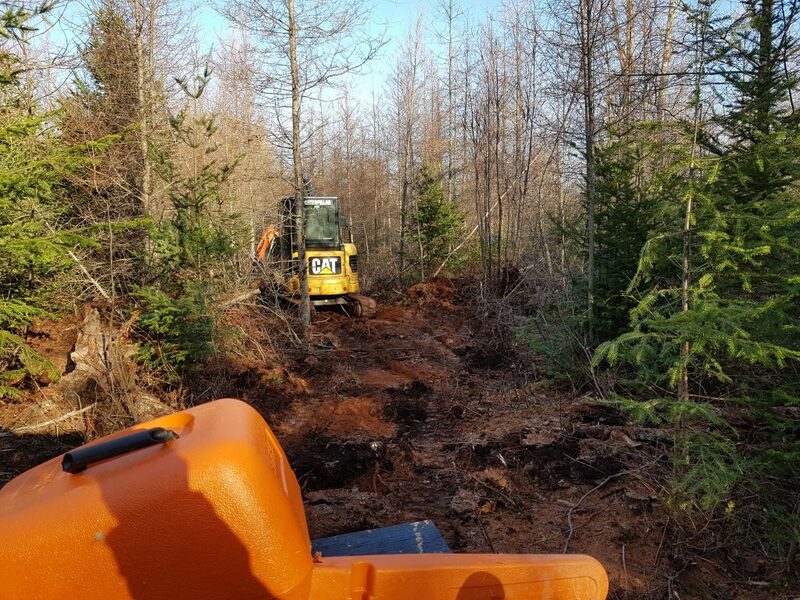 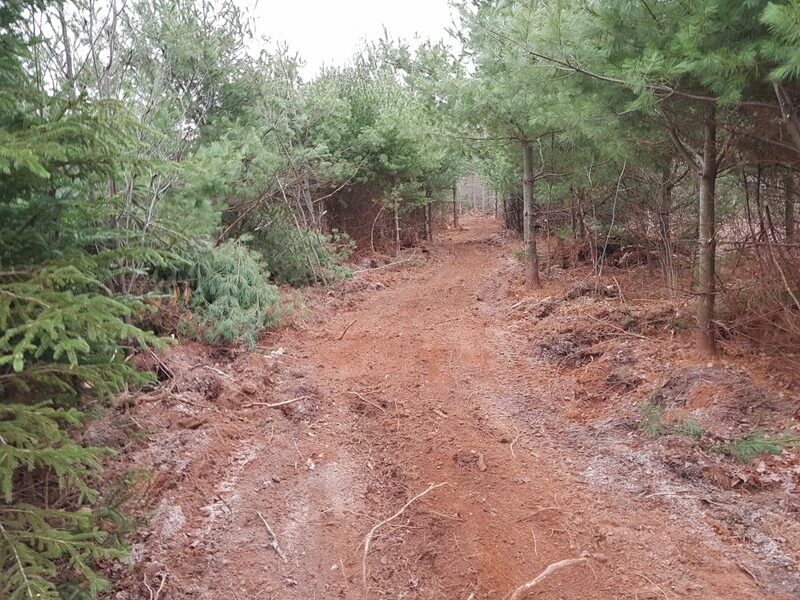 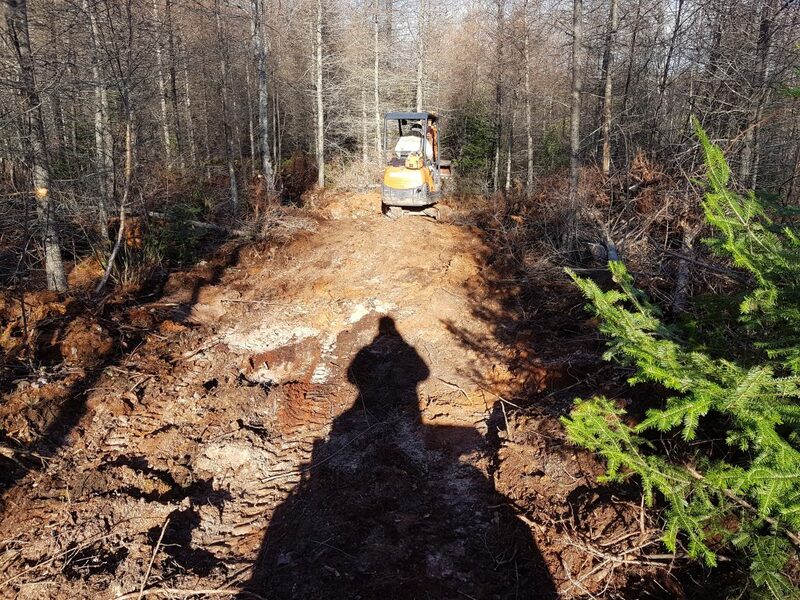 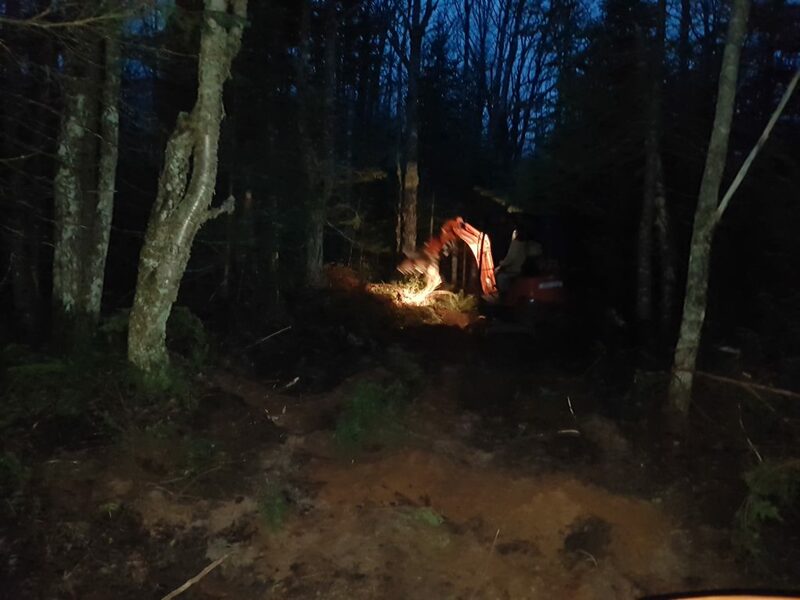 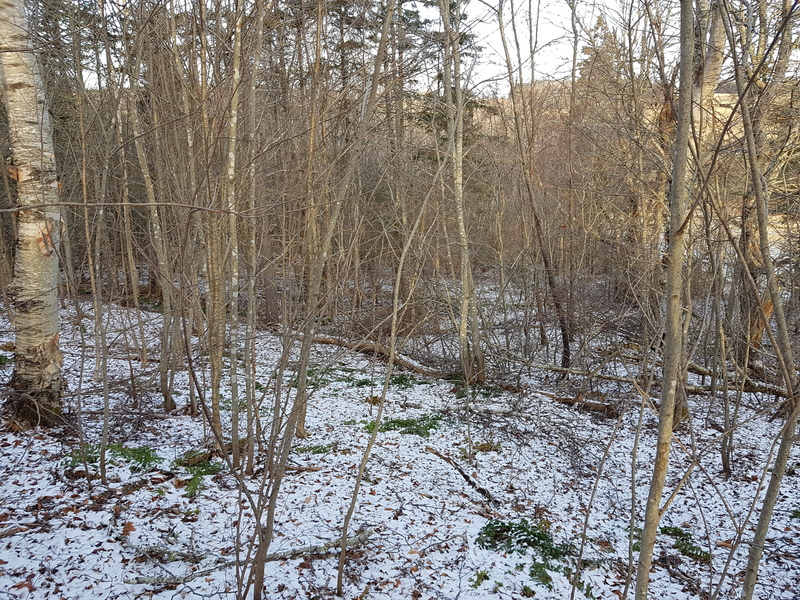 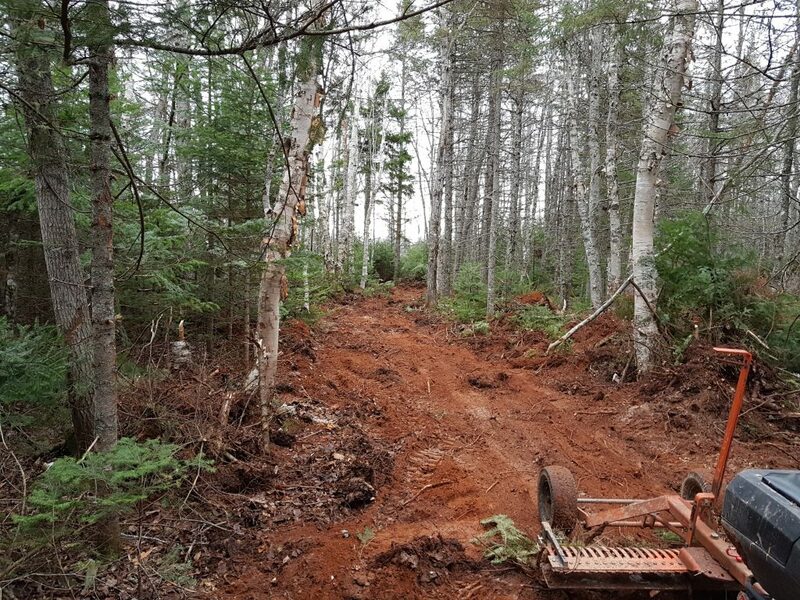 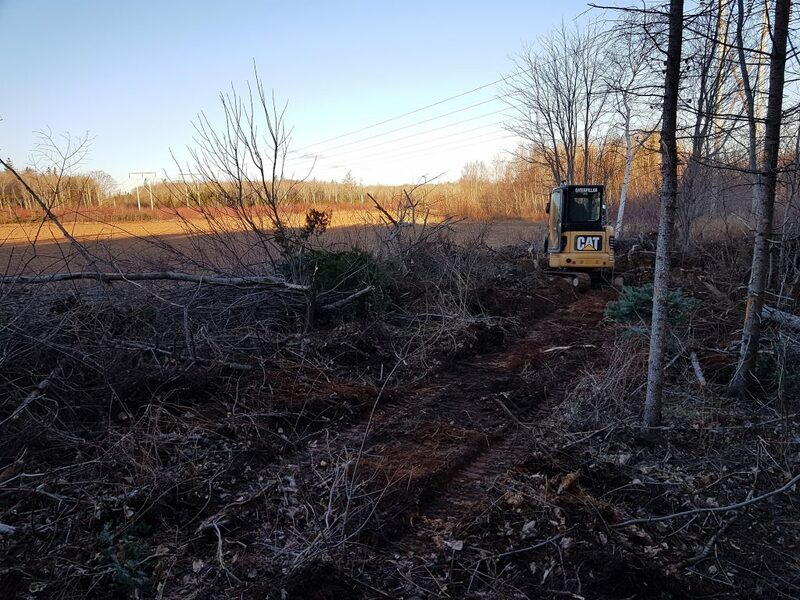 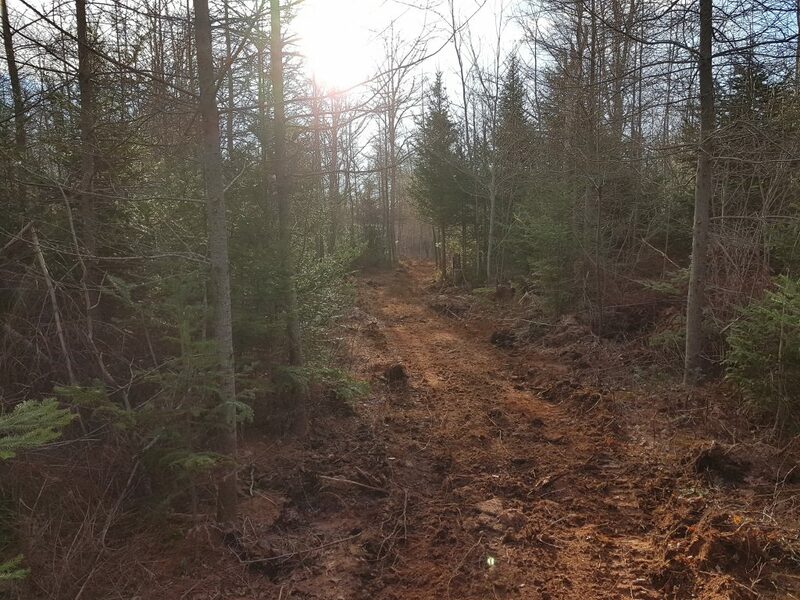 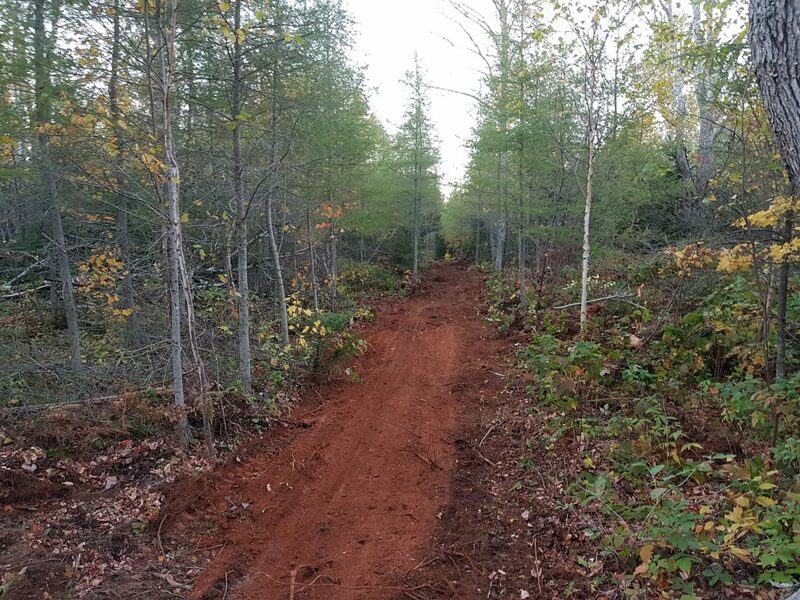 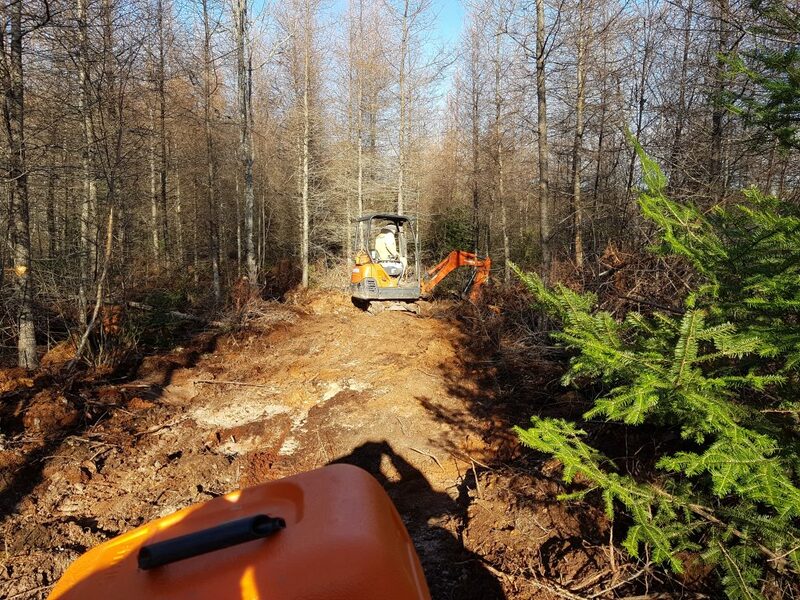 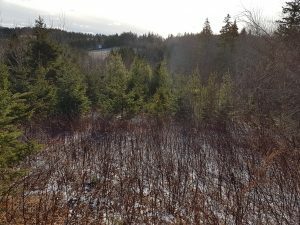 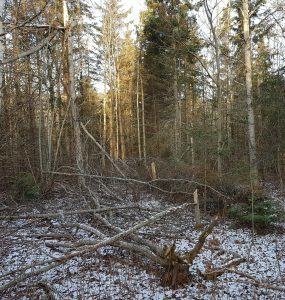 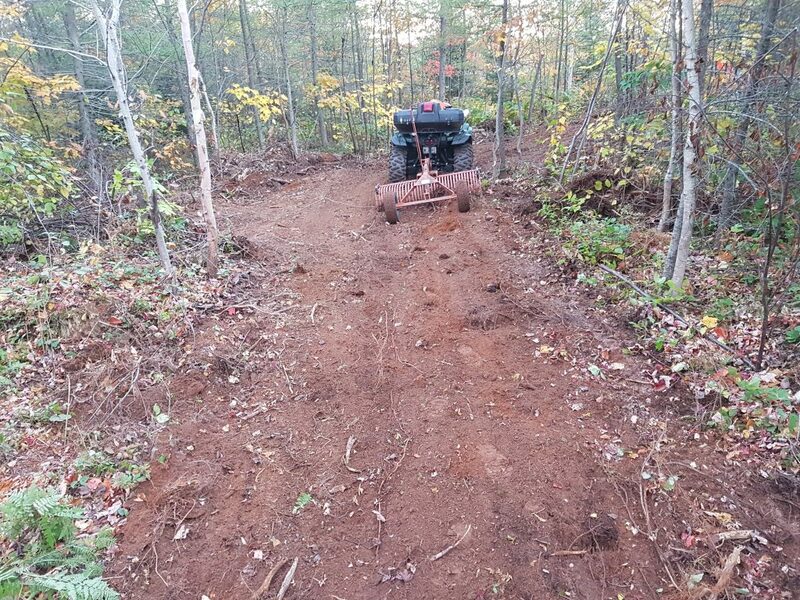 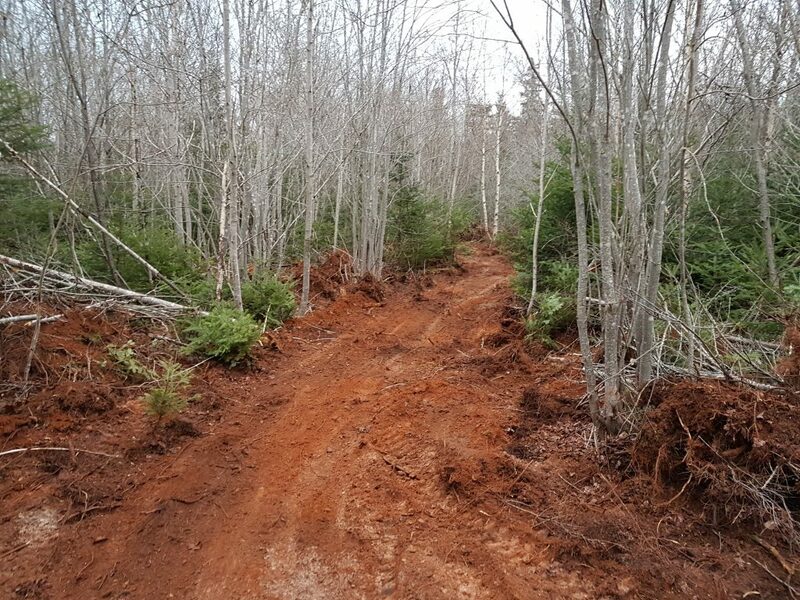 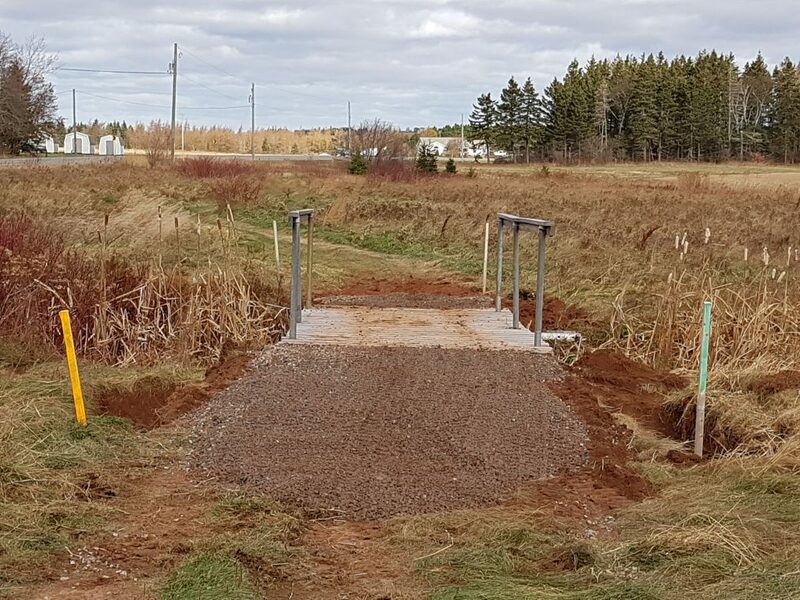 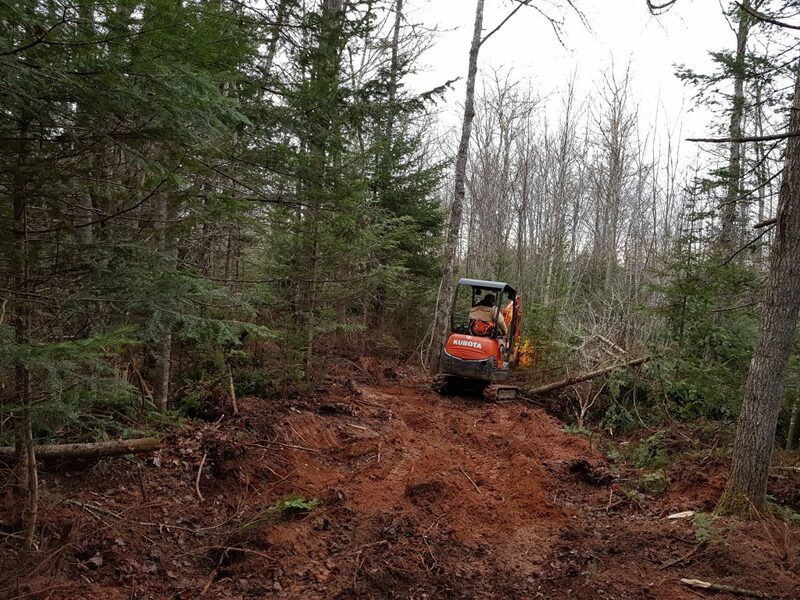 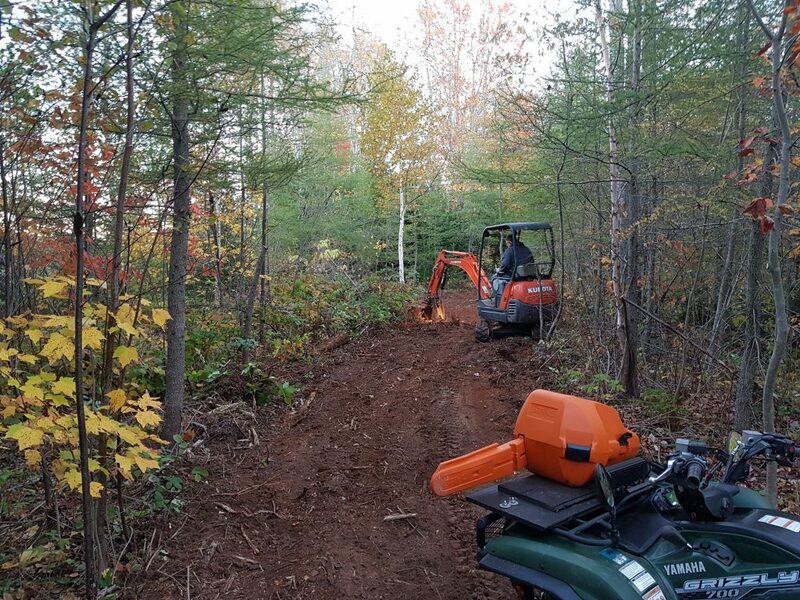 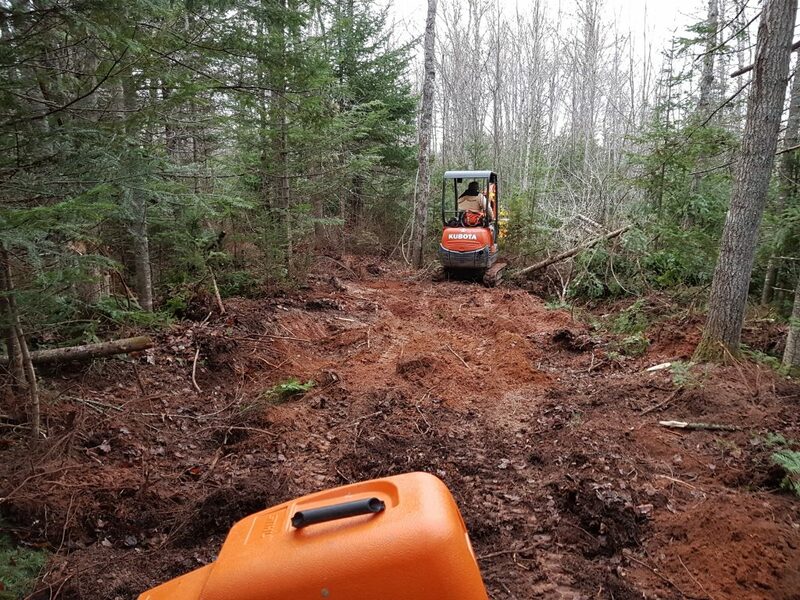 Remember that without these land owners being so generous in allowing us to ride and make trails through their properties there would be no legal trails on PEI. 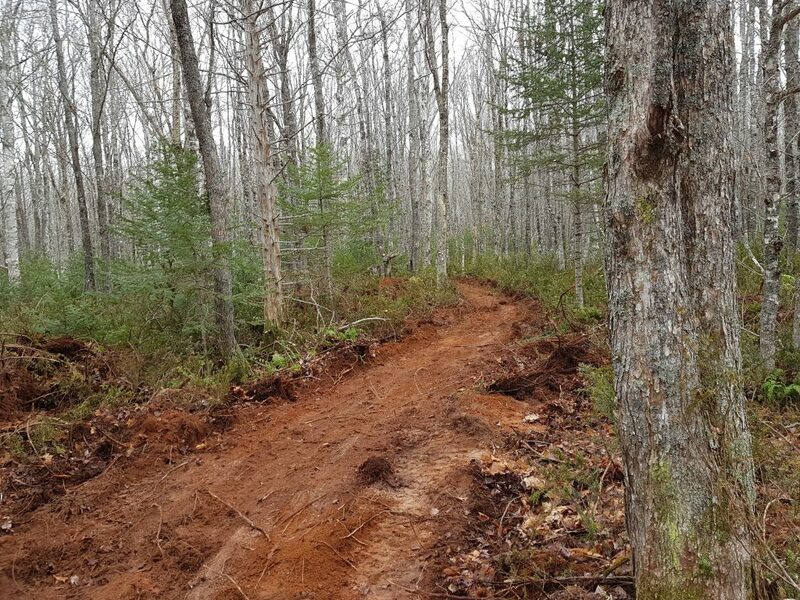 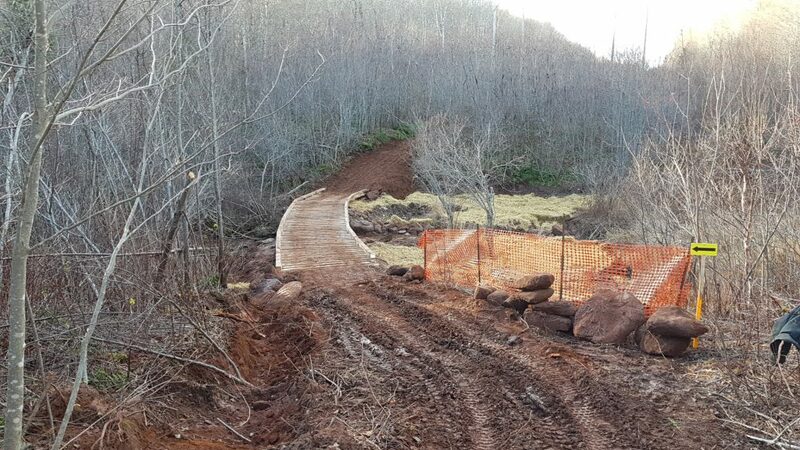 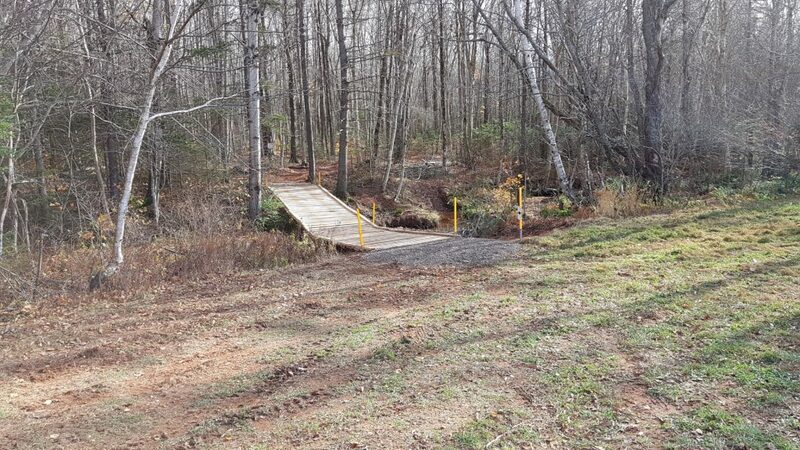 Below are some photos of the new trail as it was built.